Toyota has been working with top priority to environment management and reducing greenhouse gas emissions at all stages of vehicle life cycle. The company has also been focusing on reducing its overall carbon footprint and conducting tree plantation and related activities for ensuring the same. In this regard, Toyota Kirloskar Motor (TKM) organized a reforestation drive at the Bannerghatta National Park near Bengaluru in Karnataka. 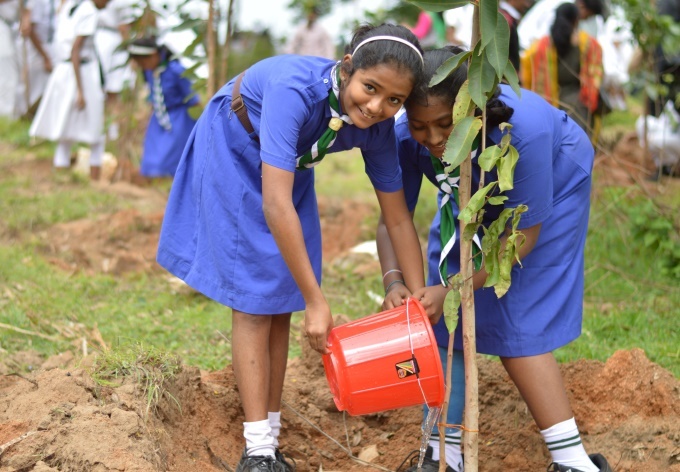 The event witnessed participation from 600 TKM employees with their families, along with 150 students from Delhi Public School, Bangalore South, and 100 members from the Karnataka Forest Department. About 500 saplings were planted by the members who participated in this noble cause. Planting trees and restoring the green is one of the most effective means to reduce carbon emissions. 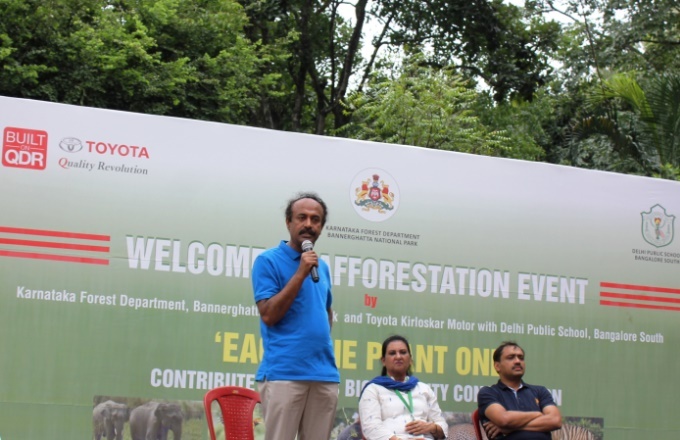 Dr Sunil Panwar, Deputy Conservator of Forests, Karnataka Forest Department, Bannerghatta National Park, Mr. Raju B Ketkale, Senior Vice President, Toyota Kirloskar Motor and Mrs. Manju Sharma, Principal Delhi Public School, Bangalore South, were the dignitaries present at the afforestation drive. Toyota Kirloskar Motor had initiated a large scale afforestation drive in the year 2009 by planting 36,000 saplings in a single day involving all its stakeholders to develop a greenbelt within its boundaries. In addition, TKM has planted around 2,65,000 saplings involving team members with the unique Japanese Miyawaki method. The TKM plant at Bidadi (Karnataka) has been designed in line with the Eco factory concept at Toyota. The company has undertaken unique environment friendly initiatives in the manufacturing facility like water based painting to reduce VOC emissions, low CO2 footprint technologies like Servo machines, vermi-composting for waste minimization, biogas plant to reduce LPG usage and rain water harvesting to reduce fresh water consumption. The water recycling and rainwater harvesting efforts at TKM manufacturing unit ensure least dependence on fresh water/ river water ensuring sustainable community. The rain water harvesting structure with a storage capacity of 25,000 cu m, installed here has helped save 60,000 cu. m of freshwater in 2015. Through consistent efforts, TKM now claims to have already achieved a reduction of 8,000 tons of CO2 compared to last year. From fuel efficient vehicle to developing ground breaking technology, TKM is consistently focusing on environmentally sustainable solutions in every business operation and every vehicle that is manufactured. Toyota has also been working to increase Hybrid vehicles in India. Hybrid technology is one of the finest examples of green future which minimizes the usage of existing exhaustible resources. The company boasts of a rich lineage of over 15 years in hybrid with over 8 million hybrid cars across the globe. PrevIndia Gets a New Environment Minister, With a Conservation Background!